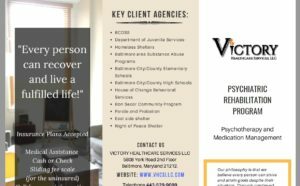 Victory Health Care Services LLC, is an organization located in Baltimore, Maryland, provides services to empower families and children. It is the philosophy of Victory Health Care Services that every person can recover and live a fulfilled life with mental illness. The worker will instill hope that positive change is possible and achievable through providing concrete services (e.g, food, transportation, money), skills building (e.g parenting, and communication skills), resource linkage(e.g, referral to substance abuse treatment), and services depending on the families expressed needs. Our Rehabilitation Counselors value and respect the unique resources the Families ethnic, cultural religious or spiritual beliefs bring to the intervention setting. 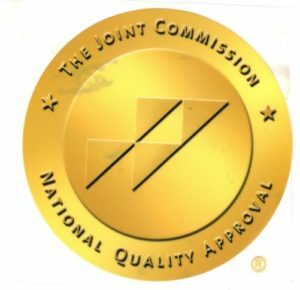 It is the intervention of Victory Health Care Services LLC, to provide time limited individualized intensive in-home Services provided by Victory Health Care Services will focus on the Families’ well-being, job stabilization and self-re-liance, by empowering and educating families on issues affecting their lives while being culturally responsive.